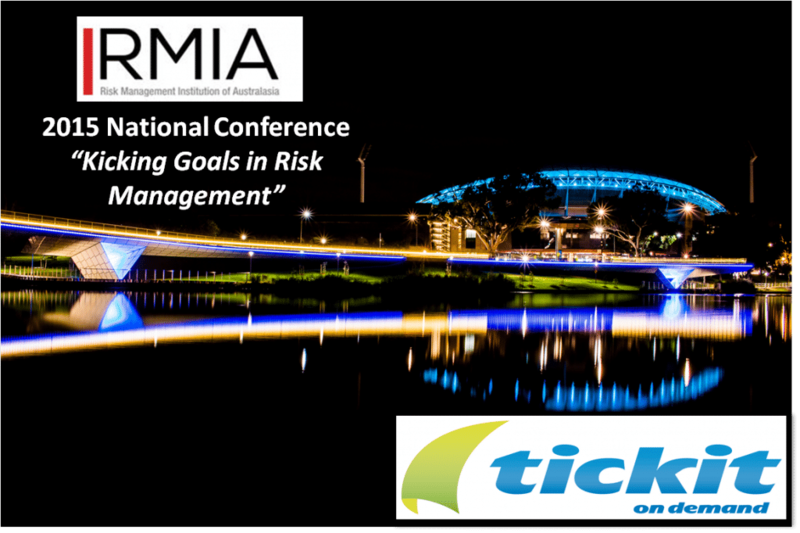 Tickit on Demand is excited to announce that we are once again returning this year as an Exhibitor to the 2015 National RMIA Conference. The Risk Management Institution of Australia (RMIA) is the professional institution and industry association for Risk Managers in the Asia Pacific region. The RMIA’s National Conference brings together 300-400 risk professionals from all areas of endeavour. With the theme for this year’s conference being “Kicking Goals in Risk Management”, the conference aims to promote learning at the cutting edge of risk management practice, to foster creative thinking, to network and to have fun. 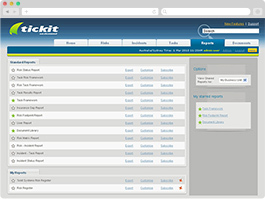 We are thrilled to once again the conference and demonstrate the many new features of Tickit on Demand. So if you are here, come by and say hi!